While out on the water many of you have seen our artillery of ballyhoo neatly aligned and loaded to the brim of the YETI but do you really know where that bait comes from? 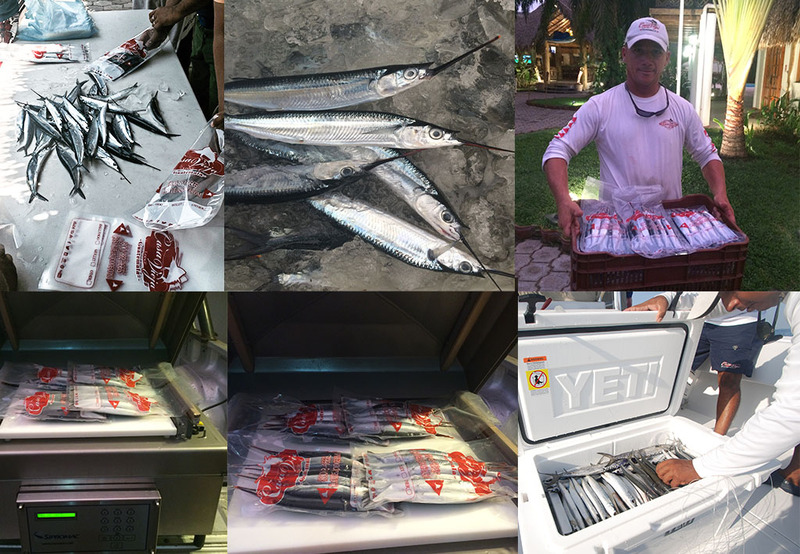 At Casa Vieja Lodge we don’t have the luxury to call Baitmasters and get a few thousand quality baits delivered when the bite is on. For us, harvesting begins once the first rain arrives. “Last season we used about 55,500 ballyhoo. If we ain’t got ballyhoo, then we ain’t fishing.” said Capt. David Salazar. Read more about this process and see photos HERE on BD Outdoors. 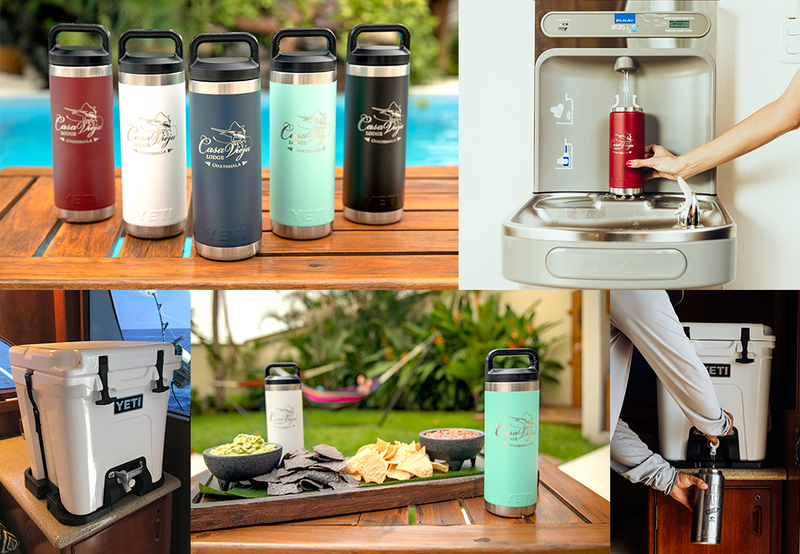 This season at Casa Vieja Lodge you will join us in our effort to #KickPlastic as we have eliminated all single-use plastic water bottles preventing 80,000 bottles from entering our environment! Upon arrival at the Lodge, you will receive a complimentary 18oz YETI Rambler that will be your lifeline to water consumption both at the Lodge and aboard the boats. We suggest you upgrade your Rambler top for $10 with either a Chug Cap, or a Straw Cap to keep yourself hydrated and ultimately for continued use in your own backyard! The Lodge installed two Elkay Water Fountain and Bottle Filling Stations where water goes through a 4-stage filtration system, including a UV purification process and the solution to pure, clean drinking water. Aboard the sportfish boats you can refill your same rambler from the YETI Silo, a 6-gallon water cooler that keeps water cold for hours. The 35′ Contenders are equipped with multiple YETI 1-gallon jugs for quick refills. Thanksgiving at Casa Vieja Lodge boasted an enormous feast that guests thankfully didn’t have to lift a finger for! 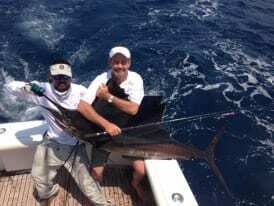 Their job was to catch billfish all day, and that they happily did. 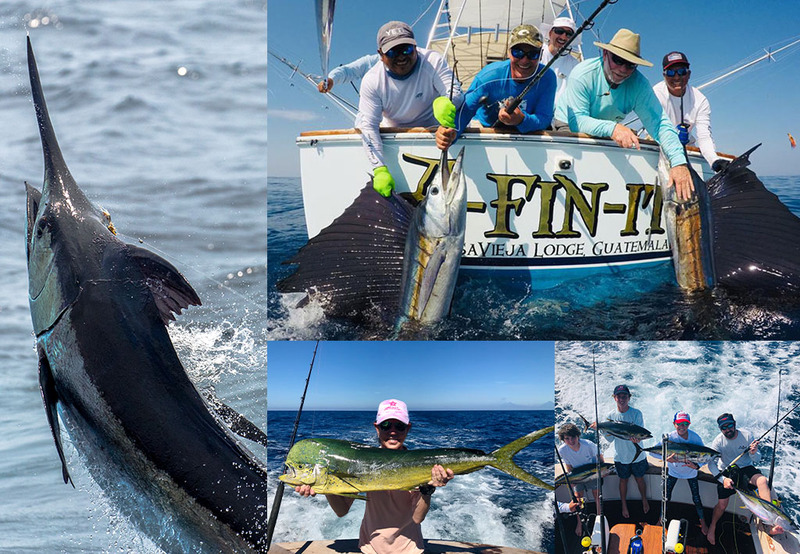 The Jinks, Nami, and Gaddy families collectively had 101 sailfish raises, 87 sailfish bites, 55 sailfish releases, 18 marlin raises, 13 marlin bites, 6 marlin releases, 38 mahi-mahi, AND 46 tuna during their Thanksgiving trips! Thanksgiving, birthdays, anniversaries, New Years Eve, Easter, if it normally requires cooking/cleaning, and having a fantastic time, then increase your play time and leave the work to us! Casa Vieja Lodge will gladly make any holiday a family favorite! Solo Anglers Week: May 29-June 2 (fishing May 30-31-June 1): ONLY 4 spots left! 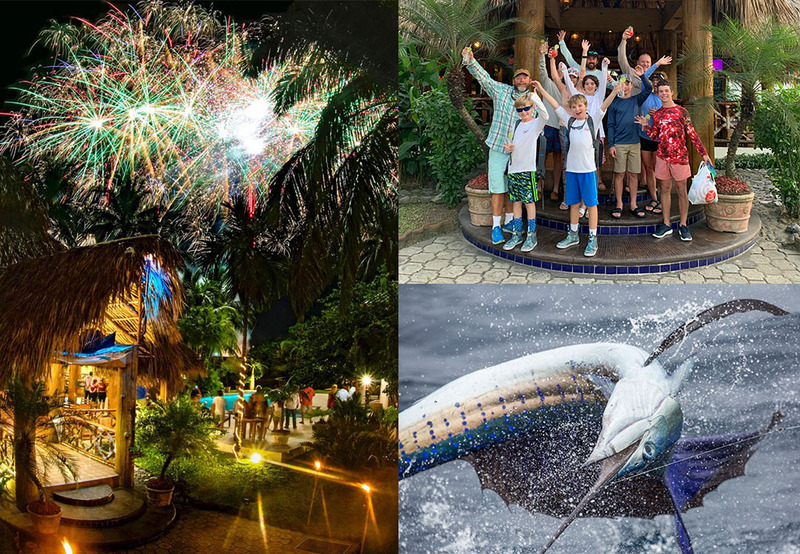 PreviousPrevious post:No Sancocho Raises Over $40k and 672 Sailfish!NextNext post:Santa Is In The Casa!